If you play a lot of golf, you are probably aware of the many ways to save money. Whether it is through a membership, a third-party marketer or a package deal, the options are aplenty for golfers of all types. When using a third party marketer, such as GolfNow, the rates can be less than the normal rates at a course. However, you may not be aware of some things, such as where exactly your money is going. We can agree that every golfer appreciates a golf course that is well maintained and staffed. However, when using a third-party marketer, there is a chance that none of the money you and your foursome pay will go to the golf course. For example, if you’re using GolfNow, your group’s money will go to the Golf Channel (which owns GolfNow). The Golf Channel is owned by NBC, which is an entity of GE & Comcast. So all in all, your dollars are going to big corporations while your local golf course receives little to no compensation. GolfNow’s headquarters is based in Orlando, FL. What interest do they have in the conditions and services of Northeast Ohio golf courses? As you can infer, this pattern has lead to difficulty in keeping a well-maintained product for many operators and ultimately dissatisfied golfers. If you enjoy spending your golf dollars on a course that utilizes the funds to constantly improve a product, then GolfNow and other similar resources may not be for you. Although package golf or bundle options may be enticing, they often come with stipulations and have an expiration date while also limiting you to fewer choices of where to play. As a golfer, you can absolutely save money this way. But is it the best option? In a word, no. Third party marketers have devalued golf courses and caused a constant price war amongst course operators. We are always looking to better our product and services to ensure our golfers get the best experience each time they are at one of our courses. Working with third-party marketers is counter-productive in achieving this goal. With the 2017 Fairways Membership, your dollar goes farther. You have access to four golf courses 7-days a week and can play an unlimited amount of golf all year long. If you like to play golf at the best possible price at courses that place a premium on course conditions, then look no further than the 2017 Fairways Membership. All of your hard earned dollars go to the courses and can be used to keep the courses maintained and always improving. You can enjoy all of the membership perks that you would not get at other courses while playing golf at a discounted price. Consistent availability at all four golf courses across 90 holes of golf. Free Range Time on Wednesday evenings with PGA/USGTF Certified Professionals. Ability to change tee times last minute should something come up. We work with you to make sure your golfing experience is fun, relaxing and of high value. The 2017 Fairways Membership is the best value in golf for a number of reasons. With this membership, you can enjoy unlimited golf for an entire year at four championship caliber golf courses. 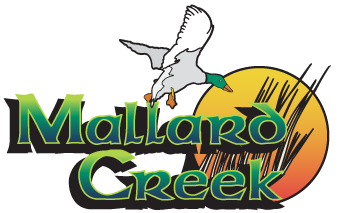 That’s over 90 holes of golf at Mallard Creek, Pine Brook, Briarwood and Coppertop at Cherokee Hills Golf Clubs for just $249!